Two weeks ago I’ve moved to Vientiane, the capital of Laos together with my girlfriend. I’ll be staying here for quite a while now. The past weeks have been a rush. We had to get rid of our appartment in Frankfurt, write tons of mails, say goodbye to friends and so on. Once we got here, organizing went on. But it’s a much nicer kind of orga now. We’ve already found a nice place to live and even internet is working. The people living in Vientiane complain about their city becoming noisy, dirty and hectic but compaired to other cities around Asia, Vientiane really feels more like a village. I must admit though that I’ve seen a traffic jam once. And just to sit outside on my terrace writing these lines while listening to cicadas and watching geckos munching moskitos feels mighty good. I’m gonna work on personal projects here and I am available for assignments. I can easily reach places in China, Vietnam, Cambodia and Burma. And Thailand is just across the river. So if you need something to get done in Southeast Asia, just let me know. 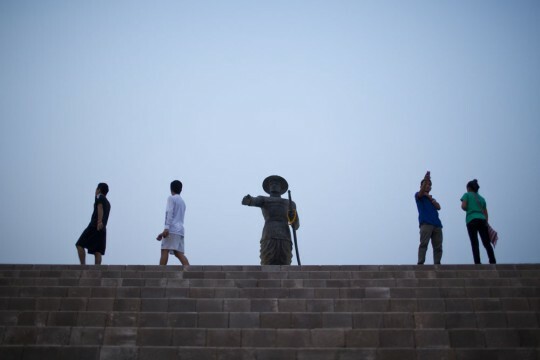 Statue of King Anouvong, last ruler of the Lan Xang (million elephants) empire, situated on the Mekong riverbank in Vientiane. Portrait of a young monk in his monastery, Vientiane. 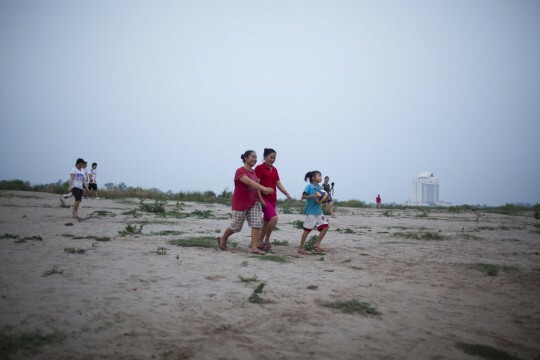 Family walking on a sandbar on the Mekong river in front of Vientiane. 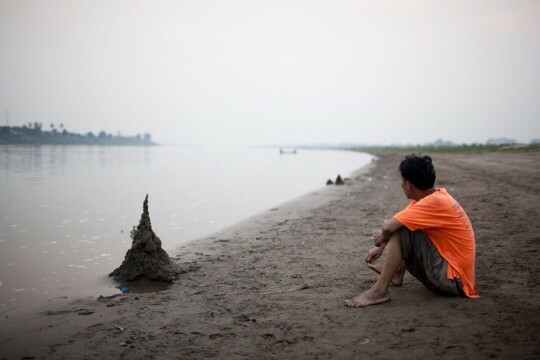 Young man watching dawn at the Mekong. 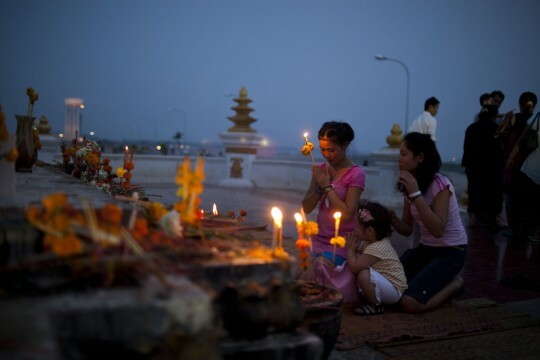 Young women knee down in front of a statue of King Anouvong lighting candles as a sacrificial offering. 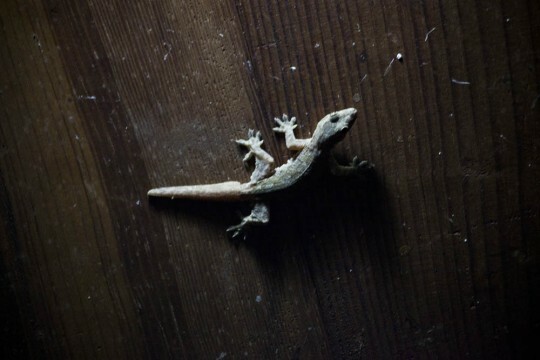 Gecko: the moskito haters best friend.